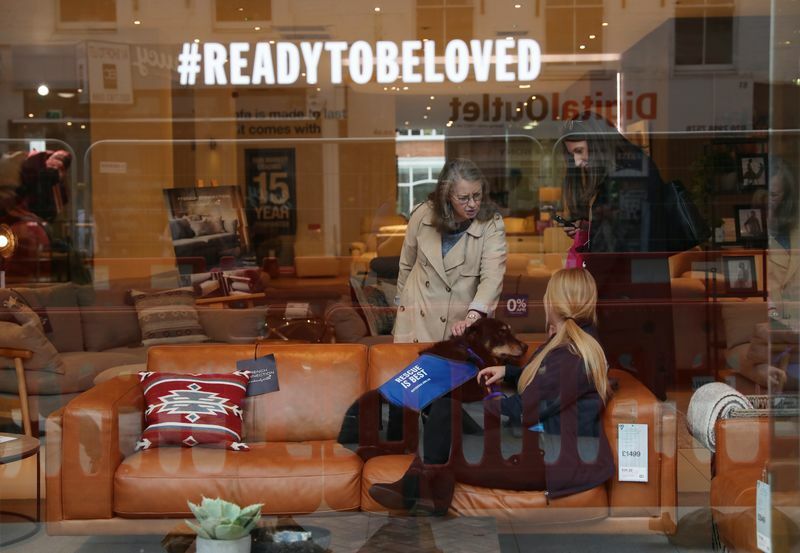 Shoppers on London’s Tottenham Court Road last night discovered that Battersea rescue dogs had taken the best sofa spots in the flagship stores of DFS, Dwell, Futon Company, Heal’s, and West Elm. 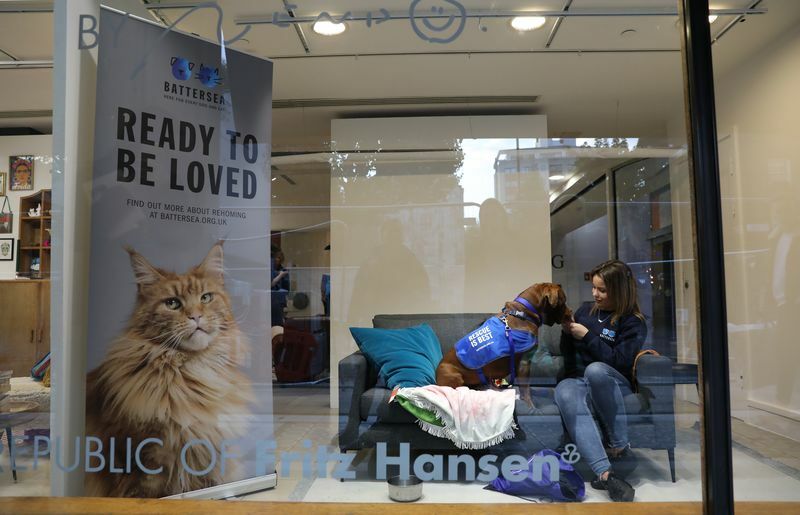 The Battersea takeover of Tottenham Court Road was aimed at reminding commuters and shoppers that no house is a home without a rescue dog. 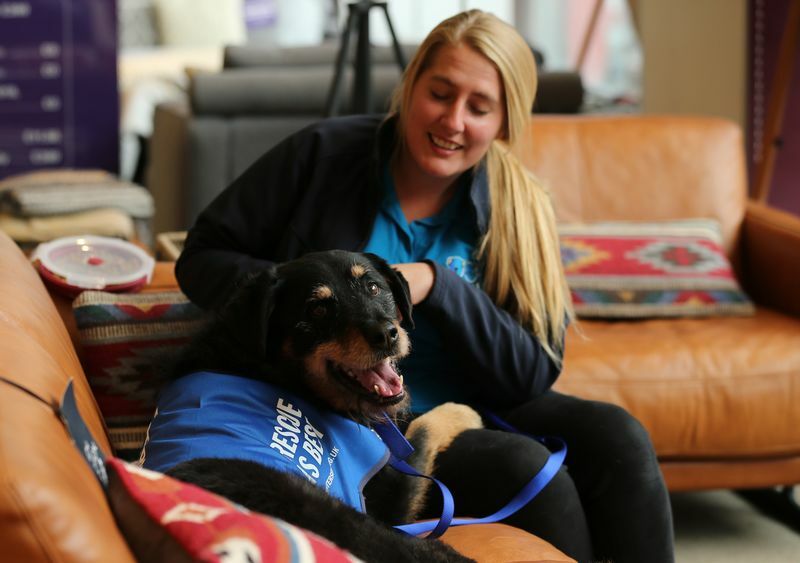 Animal welfare charity Battersea Dogs & Cats Home teamed up with the leading home and lifestyle retailers in a bid to find more loving homes for its lonely dogs. 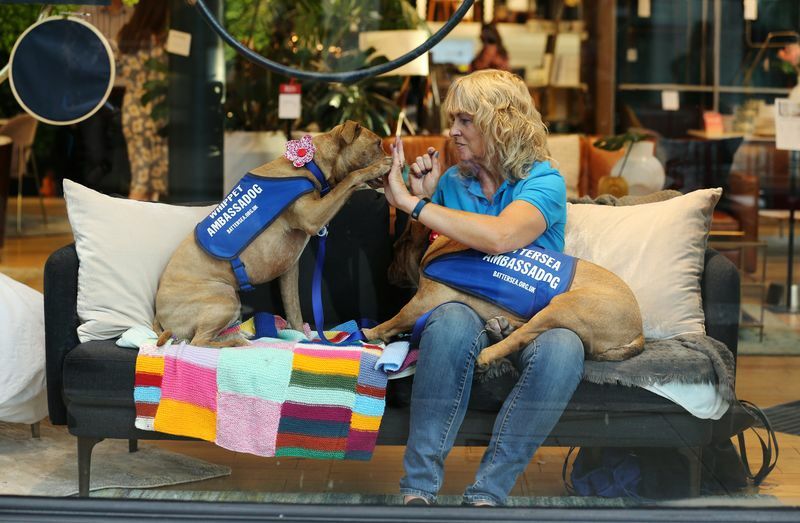 10 of the animal charity’s rescue dogs and their handlers made themselves at home on the sofa and stretched out amongst the comfortable soft furnishings on display on the bustling London street. 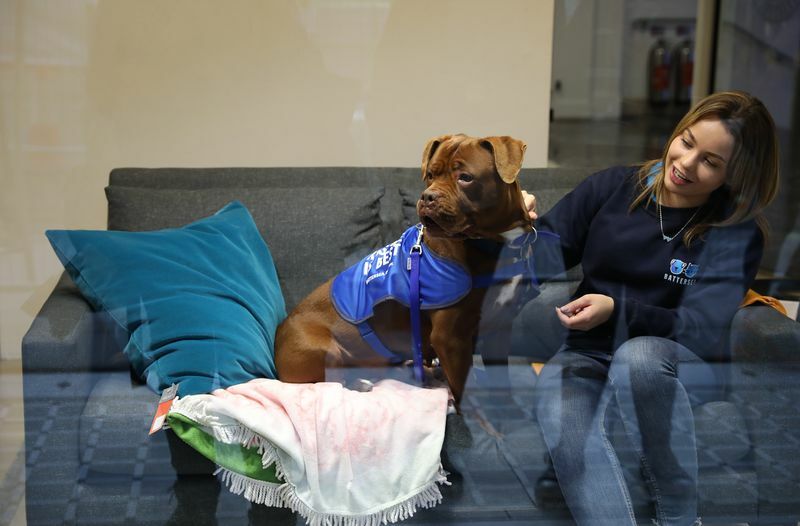 For many of the dogs it was their opportunity to enjoy some time out of kennels and show just how happy they’d be in a new owners’ front room. 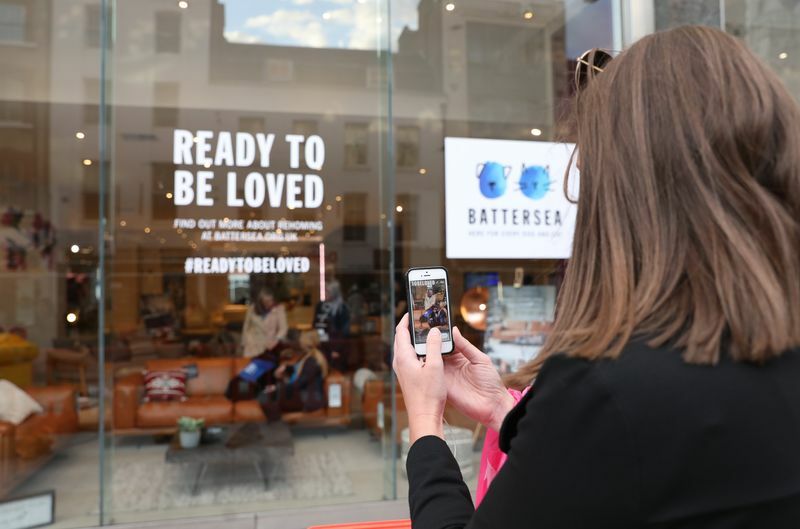 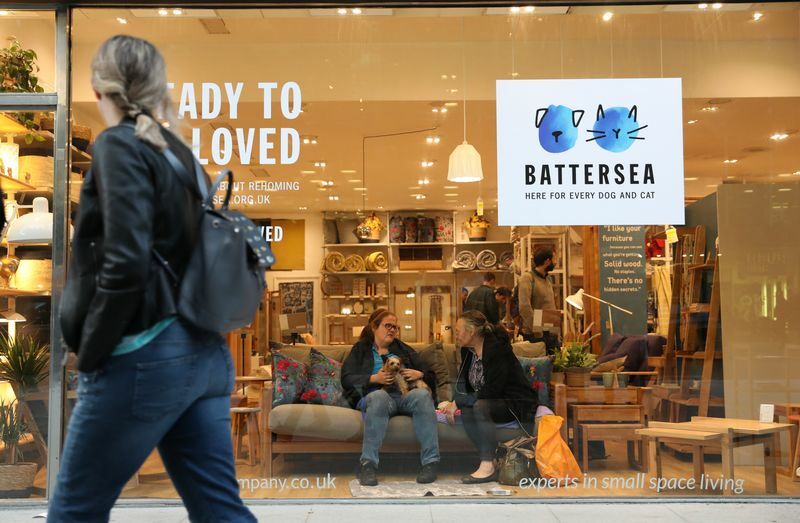 Earlier this year Battersea revealed that it had seen a drop in its rehoming figures as it faces the growing challenge of people buying pets online or social media. 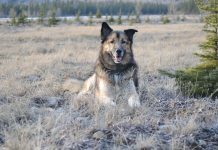 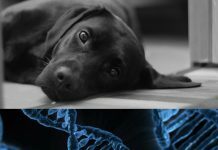 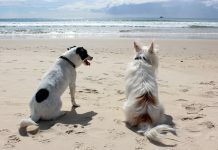 The charity hopes that by raising the profile of its rescue dogs and showing them in a more natural home-like setting that more people will consider a rescue pet instead of buying online.